Wow, a completely new breed of miner, that was unexpected! 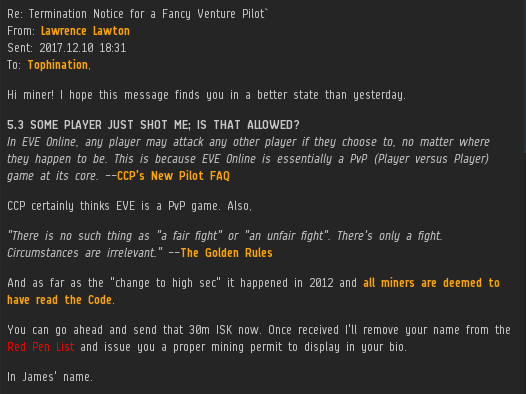 Good job breaking out the New Pilot FAQ there LL. I'm still in shock that the miner made good on his bet though, I actually cheered out loud for Tophination when I saw that deposit. whoooo another happy ending for everyone involved !!! But serious questions - why didn't antiganking stop the original gank? were they too busy shardani'ing around? I will never obey Jamey and his CHODE. slaves. 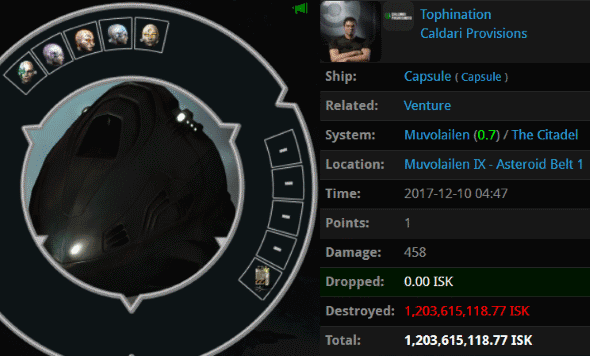 Made 12 billion isk last month moving PI through highsec in a freighter. Come and get me Jamey. Dude932pm I o7 your stand but James 315 won't come get you if you challenge him behind an alias. Anonymous is worth as much as those stupid recruitment disks the rats in Nakugard drop. No, no you didn't chodeanon932. All you did last month was cry and whine and post the same lie about making "Billions". Offering nothing but your tears as proof. 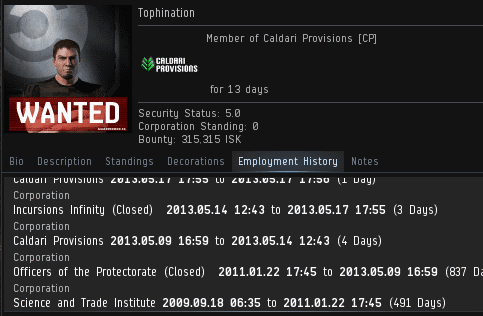 Until you prove it you are nothing but a scared little shitter hiding in highsec. AND, I find it amusing that ehnemapoo is posting as if she knows anything. Why does she now feel the need to speak for James? When someone addresses the savior I'm sure he doesn't need some anti-EVE alpha leech replying. 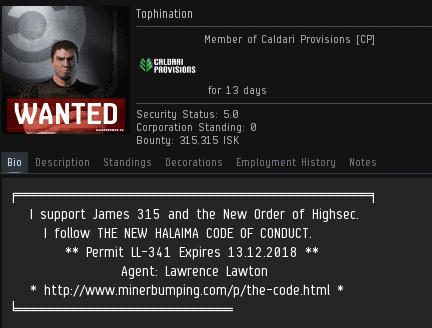 All you highsec "miners" need to get a permit or get rekt. If this upsets you then please miners, calm down. I was pleasantly surprised when I scrolled down to see the pleb miner had come to his senses. On a side note, tell me if there ever a single Ehnea comment on here that doesn’t follow the same predictable format of, “Whilst I agree...”, followed by something pro-Code. We all know that Ehnea secretly wishes she was a Code Agent, but then again, I suppose anything is better than a life of scavenging scrap metal out of the empty wrecks we leave behind in Nakugard. Yet here you are in the comments section living as a shadowboxing anon. That fact implies you are salty at the loss of a previous freighter and keep coming back in a vein attempt to whine about your loss. In a bloke called shardani. Tophination may be a Goofus, but at least he is a Goofus of his word. His followup question was a bit concerning. ok, so if im mining, and get up to take a quick piss, or have to get my child a drink, or have to take my eyes off the screen for a brief period of time, like this last time you hit me, am i going to come back to a brand new clone? I see a bright future for that dude. Really bright, like mining barge explosion bright. The problem is not the ship, it's the retards flying them that think they know how to play EVE properly. 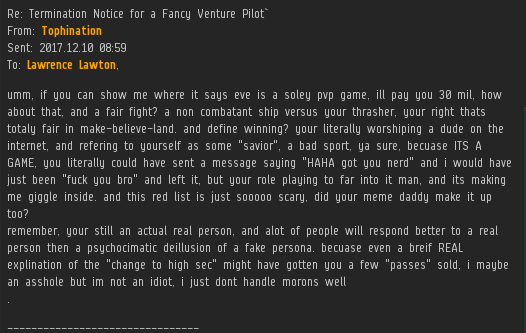 Seriously, it's an ignorant shitter who thinks EVE is for highsec minig. Idiots, the lot of you. And if you can't even help support the game with a sub then you really don't count. You are a non-entity. Leeches. It is a Code mining alt that was ganked, just to make up this story. Ah, yes. 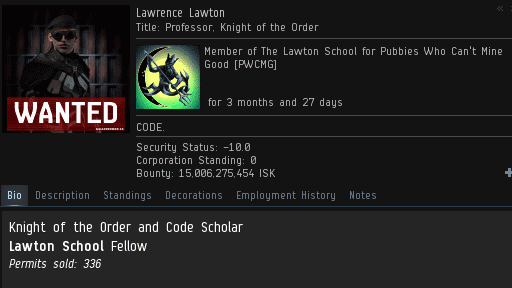 And I am sure the code is only a few people with hundreds of alts. Makes sense. Hey anon250 that meme is so 2013, where you been friend? I haven't seen little johnny pedo around for a few days. I wonder if Chris Hanson finally caught up with him. I hope his family is safe. I hear there may be some organized hisec miner murdering happening for the new year. X where do I sign up?